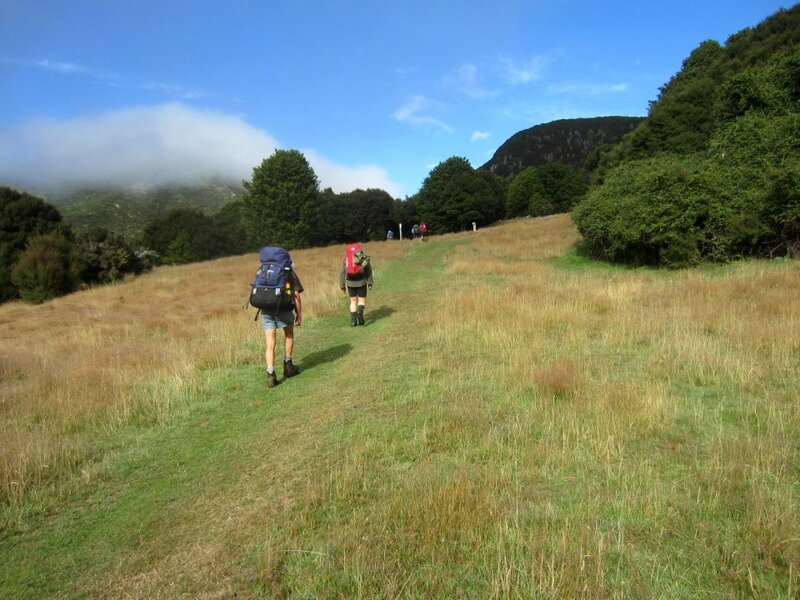 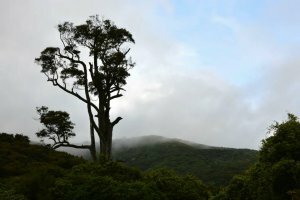 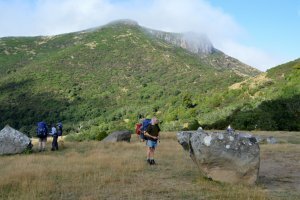 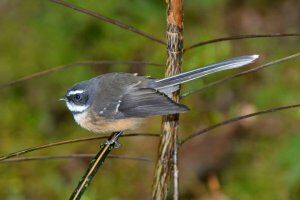 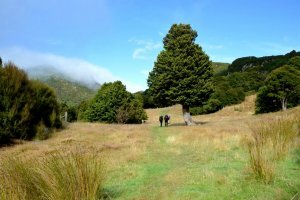 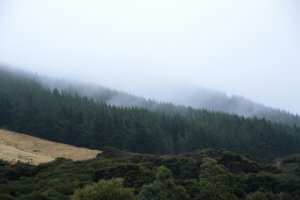 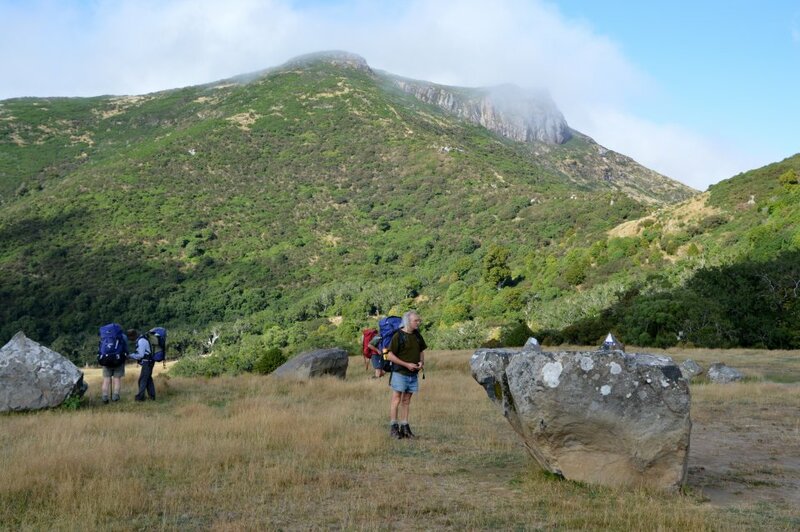 Wednesday 11th March 2015: From Otanerito Station we head inland up the Otanerito Valley through dense kanuka forest containing not a few centuries old kahikatea towering over the kanuka (although some are dead or dying). 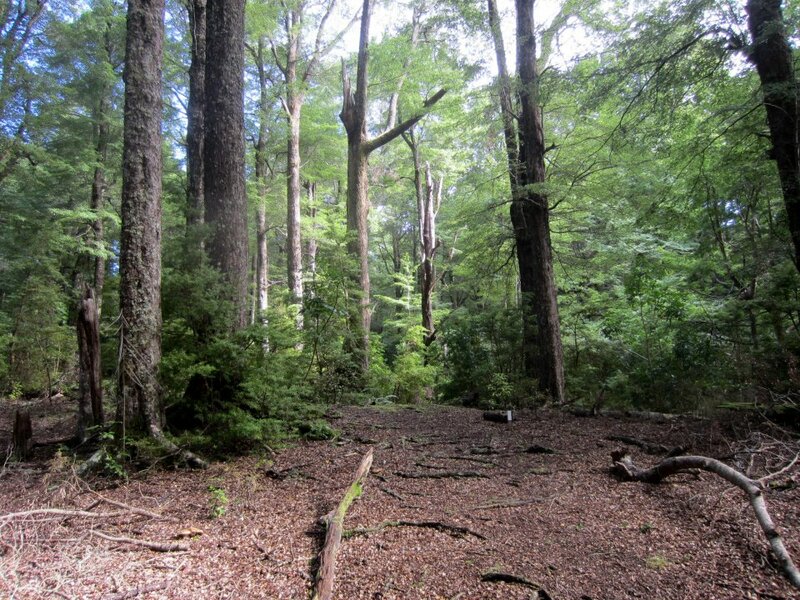 This is now part of the Hinewai Reserve, a 1250 hectare mosaic of native forest. 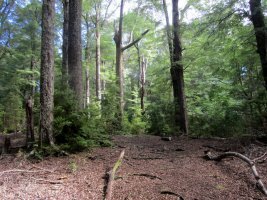 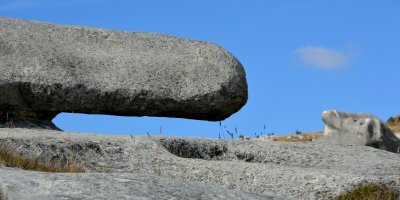 One eventually leaves the ancient podocarp sprinkled Red Beech forest as it opens up to the parkland like Brocherie's Flat and a collection of miniature megaliths looking back to Stony Bay. 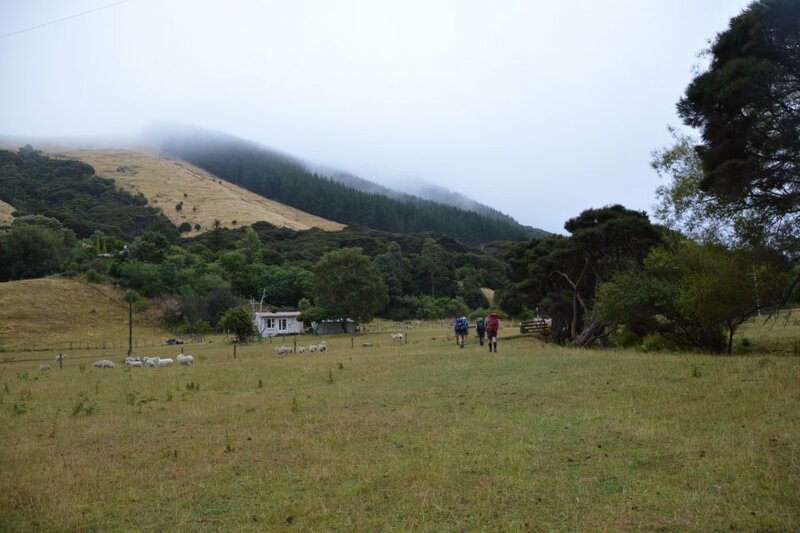 Beyond that one passes Taraterehu (Stony Bay Peak -806m). 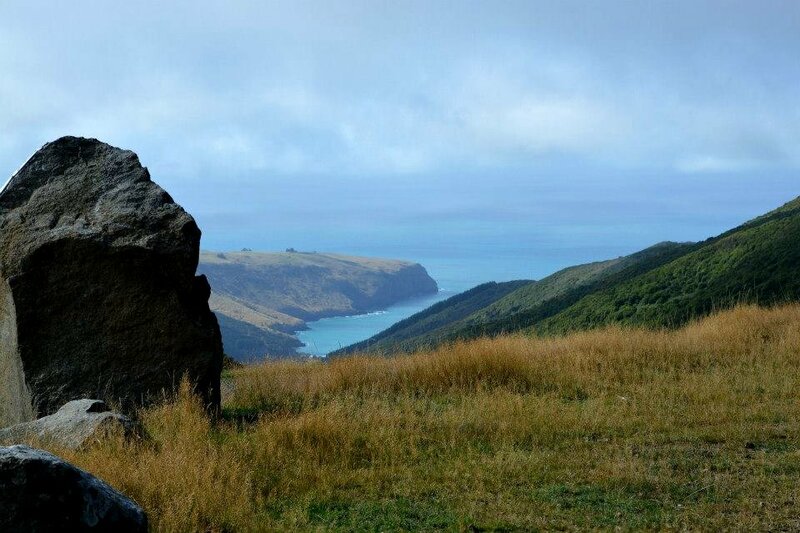 Purple Peak Saddle is 600m above Akaroa. The "Sun Princess" cruise ship was anchored off Akaroa township. From here it is a steady but fairly steep descent along a well formed track come road.